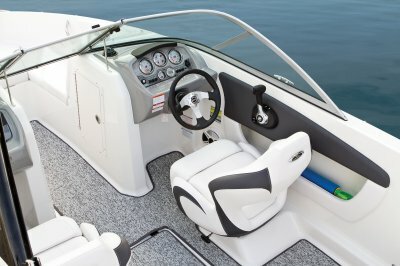 Exceptional value joins quality and style in the widely popular 19 Sport. 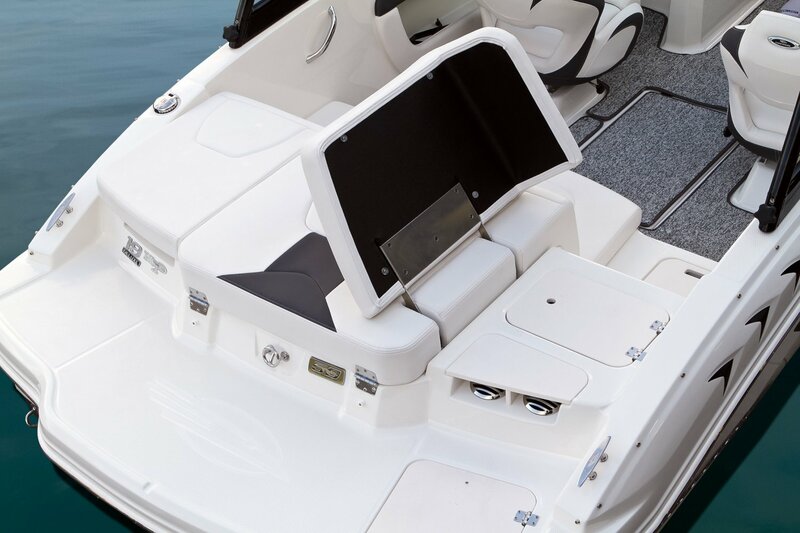 Stainless steel hardware, non-skid flooring, and battery on-off switch go one-up on rivals. 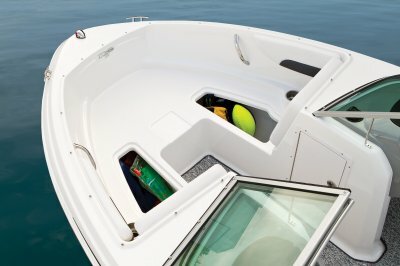 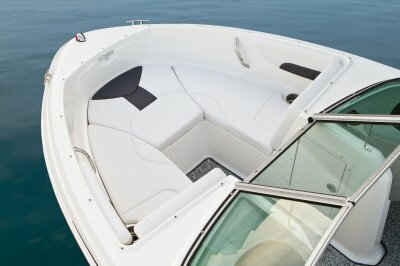 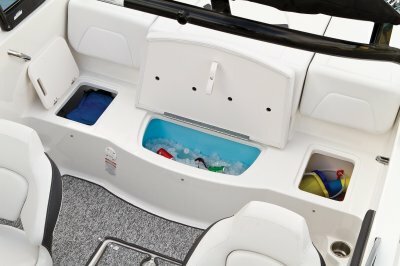 Storage is abundant…under the seats, in the helm, in a wakeboard sized floor locker and there’s also a cooler under the back seat. 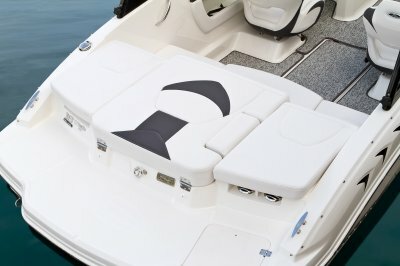 A high quality sound system is enhanced with both USB and MP3 jacks. 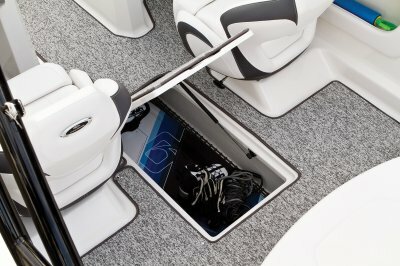 Key options include snap-in cockpit carpet, a swim platform mat and a Velocity Folding Arch Tower. 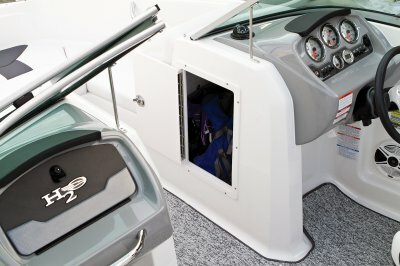 Pictured boat is NOT the actual graphic…this boat has a wide band dark blue hull!